The night of the crash was dark with no visible moon or stars, and no visible horizon. As the two aircraft approached similar positions, their pilots had no points of reference to determine actual separation distance or position. Eastern's departure turn, and Pan Am's subsequent left to its assigned heading, had placed the two aircraft on the illusion of a direct collision course. Pan Am rolled right and started a descent in an attempt to avoid collision. In response, Eastern initiated an extreme right turn in order to pass safely. The Pan Am captain estimated that the two aircraft had passed about 300 feet of each other. Eastern was unable to recover from its unusually steep bank and plunged into the icy water of the Atlantic Ocean, where it exploded in bright orange flames. The wreckage of Eastern's DC-7 was located on the ocean floor at a depth of 70-80 feet. 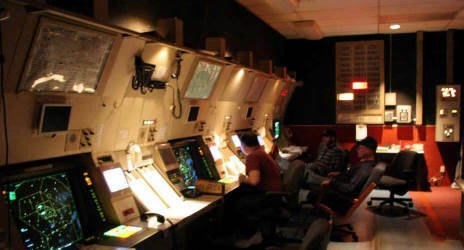 March 4, 1965 - Positive control of the airspace in the lower 48 states between 24,000 and 60,000 feet was consolidated into a single area known as the continental positive control area. 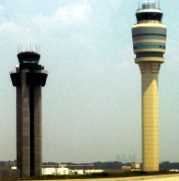 May 24, 1965 - FAA begins the first field test of the terminal prototype of the Automated Radar Terminal System (ARTS I) at the Atlanta, GA airport. 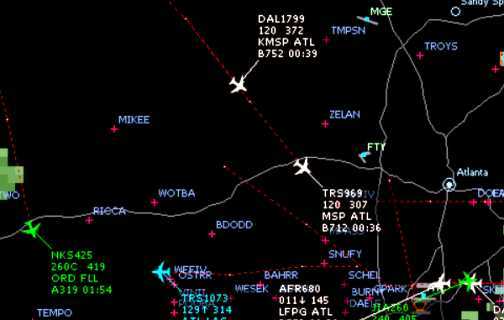 ARTS is used in conjunction with Air Route Surveillance Radar (ARSR) to detect and display an aircraft's position while en route between terminal areas, to provide surveillance for air traffic controllers. 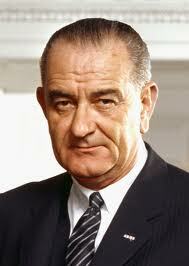 July 1, 1965 - President Lyndon Johnson names retired Air Force 4-star General William F. McKee as FAA Administrator. He graduated from the U.S. Military Academy at West Point, NY. William Fulton McKee was a U.S. Air Force 4-star general who served as Commander, Air Force Logistics Command and Vice Chief of Staff, U.S. Air Force. He was awarded the Distinguished Service Medal with oak leaf cluster. 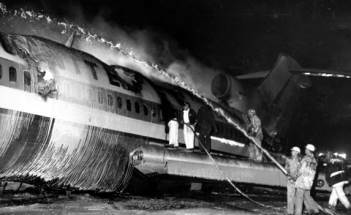 July 1, 1965 - Kansas City, MO - Continental Airlines B-707 crashed when the jet overran the runway while landing in rain. Hydroplaning precluded braking effectiveness. Kansas City, MO - Flying from LAX to ORD, Continental Air Lines, on an intermediate stop in Kansas City on an ILS approach, the flight crew encountered light rain and light to moderate turbulence. Windshield wipers were turned on, full flaps were lowered, and touchdown was 1,100 feet past the approach end of the runway. The FAA has been continuing research and study on the problem of aquaplaning, and has directed the region offices to assure that all air carrier training programs cover the subject of aquaplaning. A requirement was established that air carrier pilots receive instruction during initial and recurrent training about aquaplaning, the hazards associated with it, and the techniques to use when it is encountered. Additionally, NASA is actively investigating the possibility of reducing or eliminating aquaplaning by the use of a directed stream of air ahead of the tire. They are also working on the possibility of surface texturing. 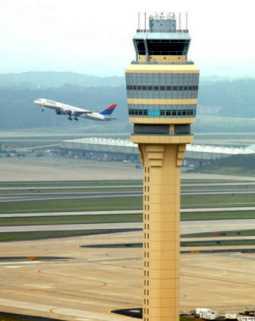 The control tower at O'Hare lost radio contact with the jet as it approached the western shore of Lake Michigan. The pilot had just received landing instructions and had replied "Roger" when communications with the plane failed. This accident occurred in dark, hazy, VFR conditions. The pilots thought they were descending through 16,000 feet when they were actually descending through only 6,000 feet. The B-727 was already down to an altitude of about 2,000 feet when the 6,000 foot clearance limit was given by the tower. 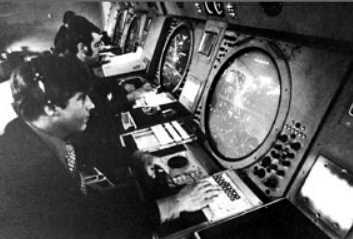 That final clearance was acknowledged by the captain, and was the last communication with ATC prior to impact with the water. The NTSB estimated the plane hit the water at approximately 230 mph. 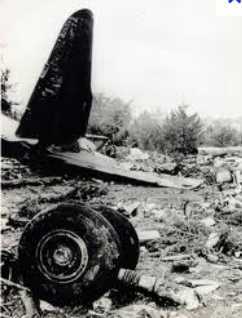 November 8, 1965 - Cincinnati, Ohio -- An American Airlines B-727 crashed on approach to Greater Cincinnati Airport. The crew of the B-727 reported they had the airport in sight and would be making a visual approach. Approach control reported precipitation to the west and moving south. 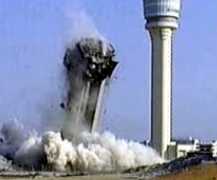 On the tower frequency the aircraft was in sight and cleared to land. Precipitation had moved over the airport and light rain was falling. When the crew was asked if it still had the runway in sight, they replied "Ah...just barely...we'll pick up the ILS here." A few seconds later the jet flew into the west bank of the Ohio River and exploded. This American B-727 flight experienced a 20-minute departure delay at LaGuardia and combined with the forecast and in-flight observations of thunderstorm activity in the Cincinnati area may have prompted the crew to expedite their arrival at Cincinnati. Once in the Cincinnati area the crew was aware of the rapidly deteriorating weather situation and despite the fact that VFR conditions existed, it is believed that a more prudent judgment would have been either for the flight to have conducted an instrument approach, or to have delayed the approach until the storm had moved beyond the airport. One contributing cause of the accident was the crew's inability to stabilize it's approach, entering downwind with excess speed. The weather also played an important role. In visual conditions on downwind, the jet would have entered the area of low-lying clouds and rain as it crossed over the river and turned base. The crew may have attempted to descend below low-lying clouds in order to keep the airport in sight. Additionally there was improper crew co-ordination. American requires that altitude and airspeed be called out by the non-flying pilot whenever the aircraft is 500' or lower above the airport. Proper descent rate should have been called or they weren't monitoring the instruments. Both pilots may have been looking out the window to maintain visual contact. 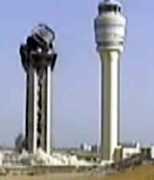 The last radio transmission, 5 seconds before impact, indicated that the crew was unaware that they had descended to an altitude below the level of the airport. The accident was blamed on the bad judgment of the captain for conducting the final approach from a position that was too high and too close to the airport to permit a descent at the normal and safe rate. He allowed the plane to fly the final approach segment (in visual conditions) at a descent rate of 2,300 feet per minute (3 times the safe descent rate). When the jet crossed the outer marker it was 2,000 feet too high. The first officer, who was flying the jet under the captain's direction, attempted to add engine thrust, but the captain told him no and brushed his hands off the thrust levers. The captain took over the controls during the last few seconds, but it was too late to avoid crashing short of the runway. Many of the 50 passengers who successfully evacuated were severely burned. This rapid sink rate was common when the B-727's were first brought into service, primarily due to the heavy tail section on which 3 engines were mounted. Pilot training was revisited and pilots carried more power on future landings. 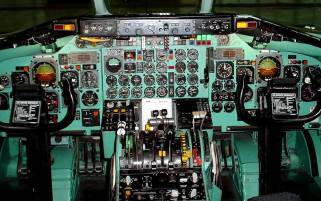 Several other airlines also had problems with the sink rate of their B-727's. The FAA implemented changes in the Airline Transport Pilot (ATP) Certificate and certain checks which included a more comprehensive and reliable flight test for evaluating a pilot's capability and competency to serve as pilot-in-command of aircraft used in air transportation. 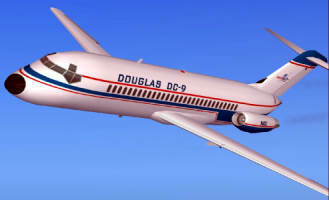 November 23, 1965 - The Douglas DC-9 (99 passengers), a twin-engine turbojet, designed for the short-to-medium haul market was type-certified by the FAA. The two aircraft approached Carmel VORTAC at the same time, TWA from the northwest as the Eastern Constellation emerged from a cloud puff. The aircraft appeared to be converging rapidly at the same altitude, and the captain immediately disengaged the autopilot, put the wheel hard to the right, and pulled back on the yoke. His first officer also grabbed the controls and acted with him. It became apparent that this maneuver would not allow them to pass clear of each other so they attempted to reverse the wheel to the left and pushed on the yoke. 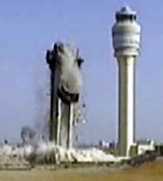 Before the B-707 could react to the control reversal, two shocks were felt and the jet entered a steep dive. 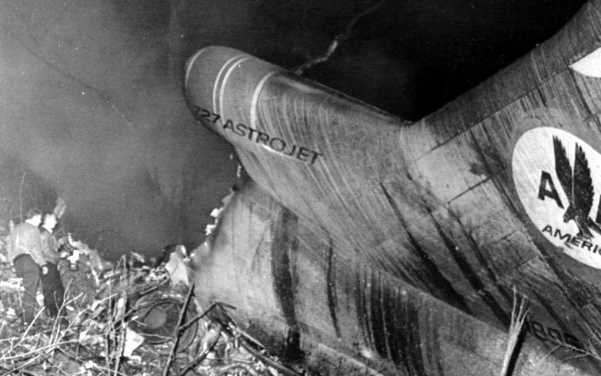 The B-707's left wing had impacted the tail of the Constellation and both aircraft were out of control. The TWA crew recovered from the dive, declared an emergency with New York Center and was vectored to JFK, and made a safe landing. The Eastern crew had no response from the Constellation's controls or trim tabs, but they discovered that a degree of control was available by adjusting the throttles, and were able to maintain a descent in level attitude (the nose rose when power was increased and fell with power was decreased). The aircraft descended into the upward sloping hillside with wheels and flaps retracted. At the last moment they jammed the throttles forward to pitch up the aircraft's nose and let the plane pancake into the 15% slope. The first impact was on a tree that was found broken 46 feet above the ground. 250 feet further, the left wing contacted another tree and was separated from the aircraft. The fuselage contacted the ground and the plane came to rest on the slope, broken into three pieces. 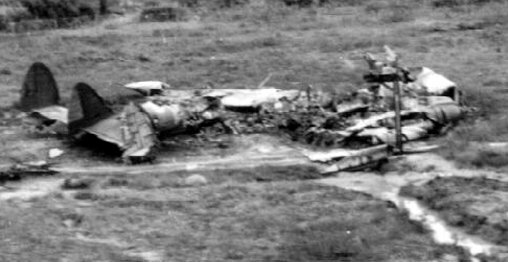 The cockpit and cabin crews survived the crash landing and worked to evacuate the survivors. Two passengers later died of their injuries. The captain had returned to the cabin to help a passenger. Both had died due to smoke inhalation. 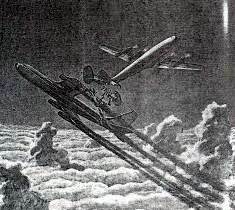 PROBABLE CAUSE: It was determined that the cause of this collision was misjudgment of altitude separation by the crew of the Eastern flight because of an optical illusion created by the up-slope effect of cloud tops resulting in an evasive maneuver and a reactionary evasive maneuver by the TWA crew. January, 1966 - ARTS I success at Atlanta resulted in a contract between the FAA and the Department of Defense for the development of an ARTS II, a smaller and less costly version of ARTS for use at military towers and low-density civilian terminals. 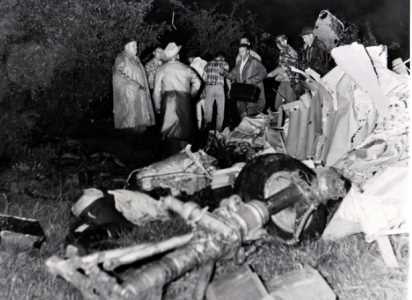 April 22, 1966 - Ardmore, Oklahoma - An American Flyers Airline Lockheed L-188 crashed into foothills during a landing attempt at Ardmore municipal Airport. Existing weather at Ardmore was scattered thunderstorms, tornado warnings and also indications of wind shear. Cause of the accident was incapacitation of the captain with a heart attack during final stages of approach. The captain, who suffered from a long standing heart condition and diabetes, managed to keep his pilot license by falsifying his medical records. 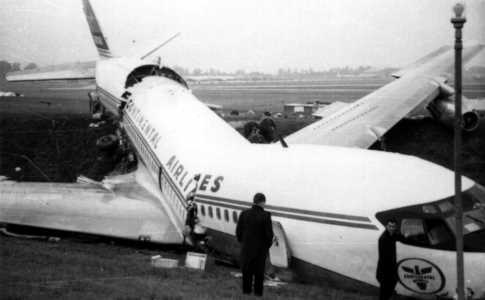 (83 Fatalities) of the 98 people aboard the aircraft. Most of the passengers were military being flown under a Department of Defense contract en route to Fort Ord, CA with a service stop and crew change in Ardmore. American Flyers Airline was a charter operation that operated from 1949 to 1971, when it became Universal Airlines and later Saturn Airways. 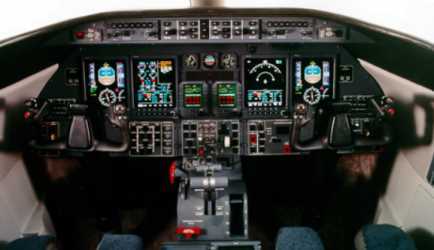 (2 crewmembers and 6 passengers), a two-engine turbine-powered business jet was type-certified by the FAA. In the first flight of its kind by a business jet, a Learjet-24 completed a 17-leg, 23,000 statute miles, round-the-world flight on May 26,1966. The global flight took 65 hours 40 minutes (actual flying time = 50 hours). June 30, 1966 - FAA created the New York Common IFR Room (CIFRR), to control all traffic arriving and departing at JFK, LaGuardia, Newark, Teterboro and 12 satellite airports in the New York City metropolitan area. July 8 - August 19, 1966 - One of the longest (43 days) and costliest strike in U.S. airline history took place when a strike was called by the International Association of Machinists halting the flight operations of Eastern, National Northwest, TWA and United Airlines. 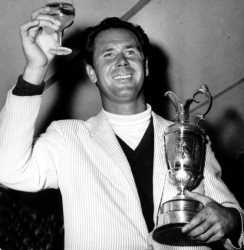 In 1965 Tony won the Buick Open for the second consecutive year. 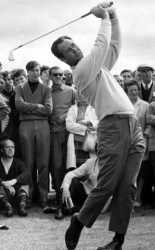 At the time of his death in 1966 Lema was second only to Arnold Palmer in fan popularity. In 1983, a San Leandro, CA public golf course was named in his honor, The Tony Lema Golf Course. August 6, 1966 - Falls City, Nebraska - A Braniff Airlines BAC-111, from New Orleans to Minneapolis, crashed when it broke up after penetrating a severe thunderstorm cell, along with hail and strong wind gusts. Kansas City Center cleared the BAC-111 to FL200, the pilot requested 5,000 feet and asked to deviate left of course. Request was approved and handed off to Chicago Center. When the BAC-111 entered an area of an active squall line, the jet violently accelerated upward and in a left roll. Then the right tailplane and the fin failed. The jet pitched nose down and the right wing failed as well. The plane tumbled down in flames until stabilizing into a flat spin before impacting the ground. Probable cause was in-flight structural failure caused by extreme turbulence during operation of the jet in an area of avoidable hazardous weather. October 15, 1966 - President Lyndon Johnson signed the Department of Transportation (DOT) Act bringing the FAA and other Federal agencies having to do with transportation under the new Cabinet Department. When Congress consolidated all transportation agencies into the DOT it established the NTSB as an independent agency, as a single organization with a clearly defined mission to promote a higher level of safety in the transportation system. The NTSB investigates accidents in the aviation, highway, marine, pipeline, and railroad, as well as accidents related to hazardous materials.